The Detroit Watch Company have been taking a backseat to their more publicised neighbours Shinola, the 1701 Series of Detroit Watch Company timepieces are exquisite! Already 11 years old, the brainchild of designers Patrick & Amy Ayoub have developed some of the most elegant and unique watches on the market. The Detroit Watch Company 1701 Series follows on from this legacy to deliver a watch that is not only a great piece of craftsmanship, but also pays tribute to Antoine Laumet de la Mothe, Sieur de Cadillac and the early beginnings of Modern Detroit. Costing a respectable $895, this watch will feel at home in any collection. Click here to find out more. 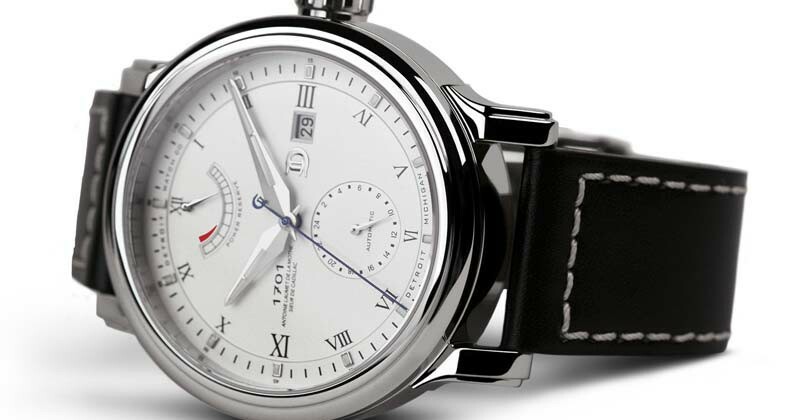 Detroit Watch Company 1701 Series Watches 0 out of 5 based on 0 ratings. 0 user reviews.